Remember that great joke T-Mobile told me last week about sending me a signal booster, so I could actually make calls from my home? Yeah. Another 45 minutes on the phone with them today (yes, really, I have tried restarting my phone. No, you don’t need to check for open service tickets. Really, really really – at the end of this conversation, you’re going to forward me to your “customer loyalty” department; can’t you just do that now and save us both the pain? It’ll improve your response time stats, and give you a chance to hit the water cooler before inflicting agony on your next angry, powerless victim). But I eventually do get to the customer loyalty team. Sandra this time. I explain that her colleague had promised me a signal booster. What was his name? I don’t have a clue – shouldn’t they have a record of that? Maybe I should try getting a different phone? No, we go through that conversation again, and I try to steer her back to the point: her colleague has promised me a signal booster. It hasn’t arrived, and I believe there are two explanations: (1) it got lost in the mail, in which case, they ought to know about it, or (2) her colleague didn’t send it out, in which case, they really ought to know about it. Maybe I should try “WiFi calling”? No. Signal booster. Did. They. Send. It. Out. It takes about fifteen minutes with Sandra before she says that yeah, she does have the record of who I talked with – Abe, I think she said – but no, she doesn’t have any record of a signal booster order being placed. Am I sure WiFi calling won’t work for me? It’s really quite nice. I breath quietly into the phone and remind myself that Sandra’s goals are not necessarily aligned with those of the company whose phones she’s answering. I decide that I’m going to try to do some good in this world. I’m going to try to explain that it’s really in T-Mobile’s interest for her to help them figure out what went wrong with that last conversation I had with Abe. Or whomever. If I were T-Mobile, and my “customer loyalty” reps were making promises they couldn’t keep, I think I’d like to do some investigation. There’s silence – would I like to escalate? Yes, for the love of mobile communication. I should have used the magic “E” word at the start. But I ask: can escalation get me a signal booster? No, they’re still backordered – but I could call and ask for one when they arrive. Oh god, I’m dying. Some time later, I get Tim the Supervisor on the phone. It’s a bit of a blur from here, but I go through the explanation one more time. The only thing that’s clear is that there are no signal boosters, and not a lot of concern about that, or even a clear idea that they might want to debug what the hell went wrong with my last conversation. Tim and I bid each other adieu – he can’t do anything for me, and mercifully, he doesn’t suggest WiFi calling. He goes on to his next angry, frustrated customer, and I go back to the rhythm of my own the day, faith in humanity crushed just a little bit more. Pablo, did you discuss with any of these folks why there’s only one cell tower serving our neighborhood? I know there’d be a big NIMBY fuss if they tried to build another one. It would be good to know whether they’re trying. If you ever get a booster, can you set it up so it covers my house too? :-) Right now i have zero bars of service in my house, so even if I had a booster there would be no signal to boost. But tell me, are your frustrated? What a dumb company. do they just not get it? 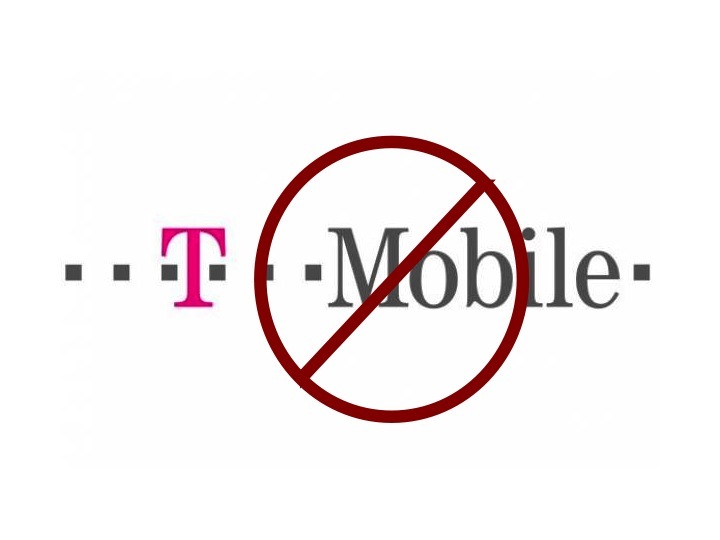 Are you going to stick with T-Mobile, then, or are you switching to another company? I’m first going to see if Verizon or Sprint can give me a good data plan with a dual CDMA/GSM phone.